The young Bernese artist Karin Lehmann (b. 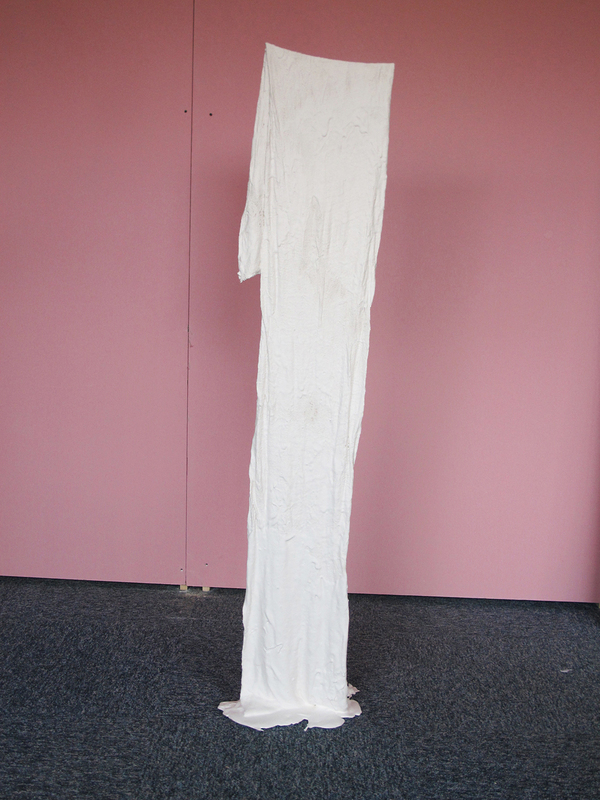 1981) employs traditional sculptural techniques and materials. Through experimentation and always with a touch of humour, she continually renews our view of things. Lehmann creates strange plaster forms based on metal constructions with approximately the same proportions as the human body. Other objects presented in the exhibition, such as plaster plaques, are characterised by a method of fabrication that subtly exploits the irregularities left in the plaster surface. 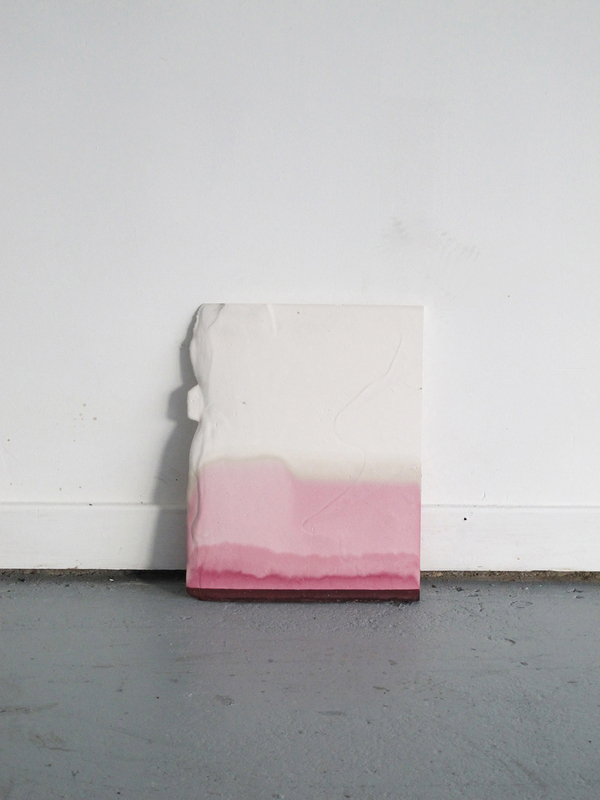 For the exhibition at Kunsthaus CentrePasquArt Karin Lehmann is working for the first time with colour by employing the natural tone of beetroot juice. Lehmann is not only using this colour to dye the plaster plaques which are dipped in the juice, but also to paint the windows in the Galleries. 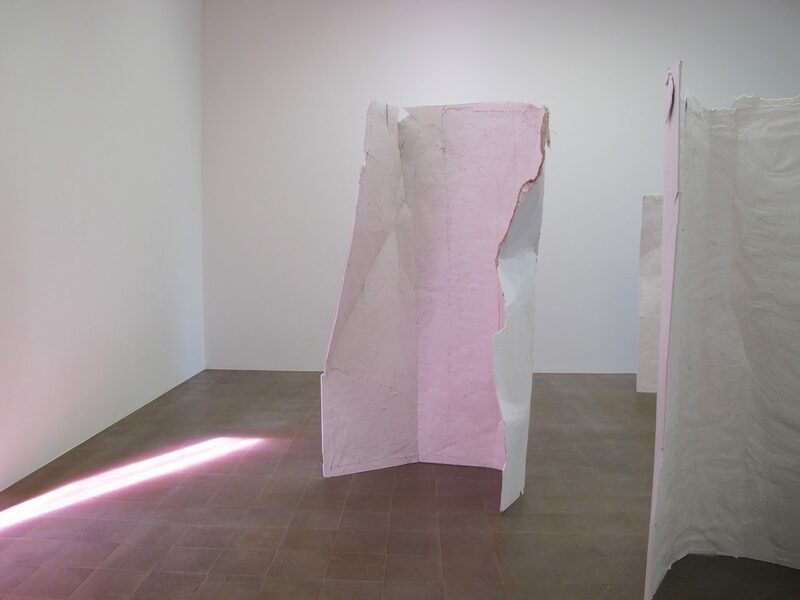 The pink light which is filtered from the windows thus gives the white plaster sculptures a pink tinge that will gradually fade in the sunlight during the course of the exhibition. 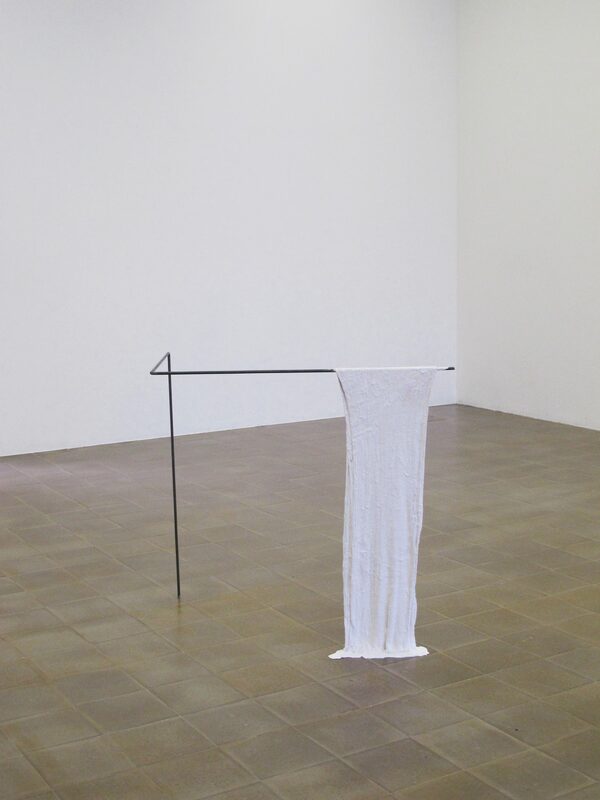 Karin Lehmann’s work focuses primarily on simple constructions made of plaster, metal rods and everyday objects. 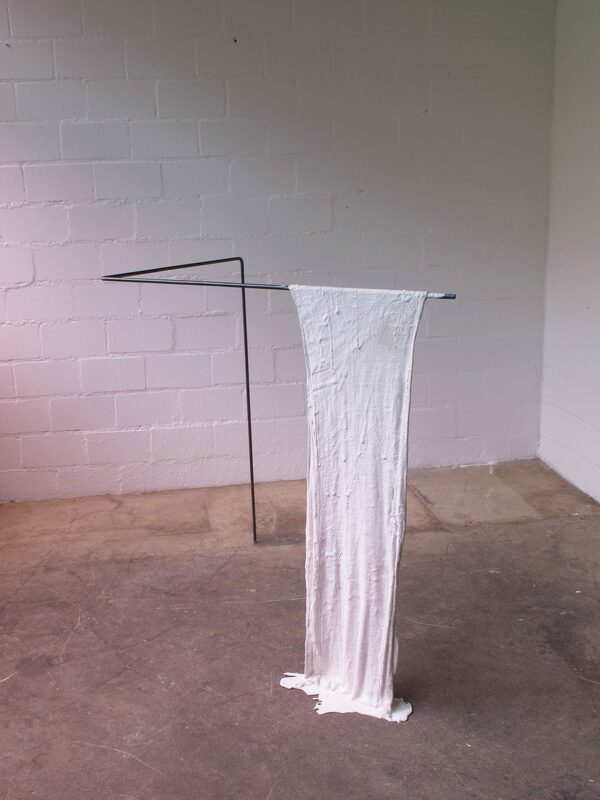 The ephemeral and fleeting aspect of her installations is an important characteristic of her work. 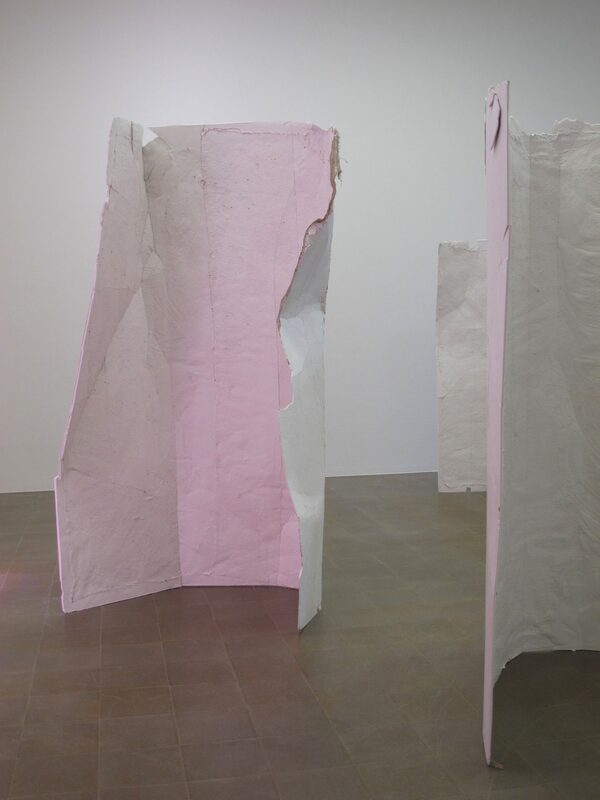 Her practice has little in common with conceptual art; the consciously artisanal approach that she adopts is related rather to the work of artists such as Phyllida Barlow, Hans Josephsohn or Karla Black. 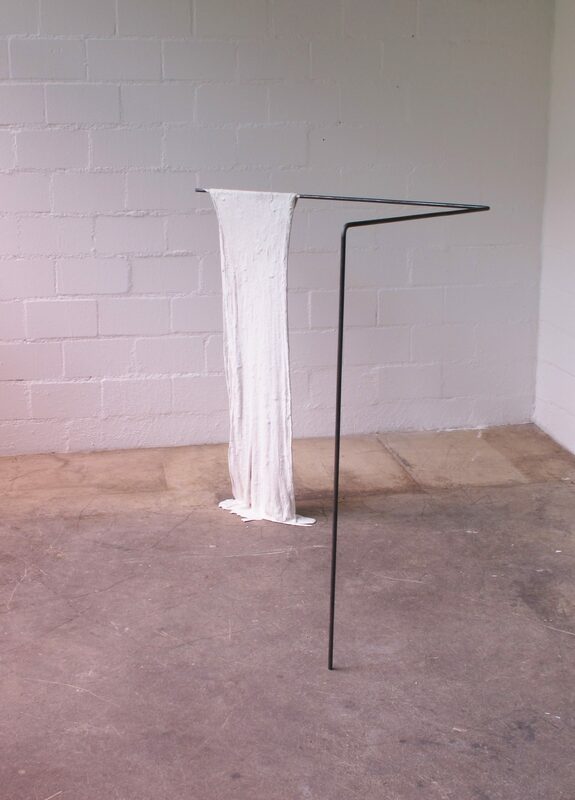 In maintaining a sensibility to material, the production process becomes an integral part of the work. The plaster plaques that Lehmann pours have a thin silhouette which threatens to break at any moment. 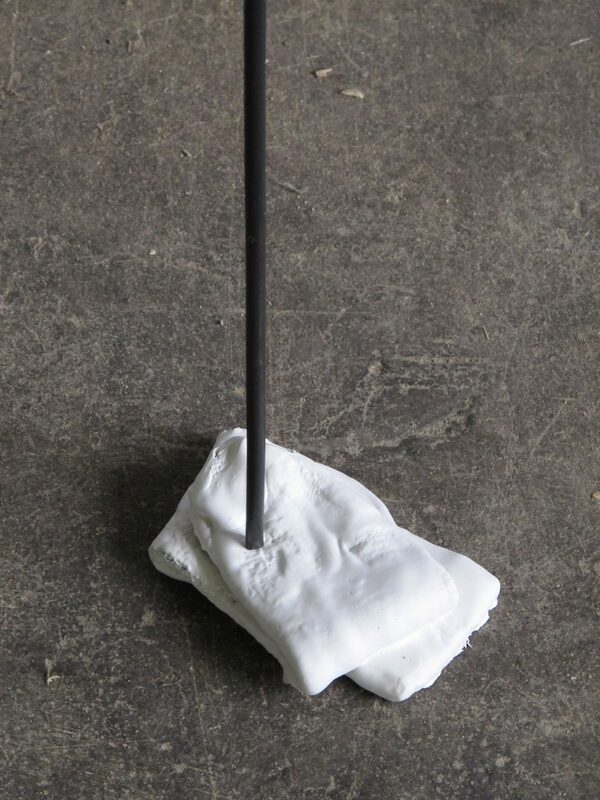 This fragility renders the artist’s sculptures incompatible with any idea of sculptural perfection. The structural faults and the rough surface of the plaster give it a vitality which contrasts with the stiff poses cultivated by academic sculpture. 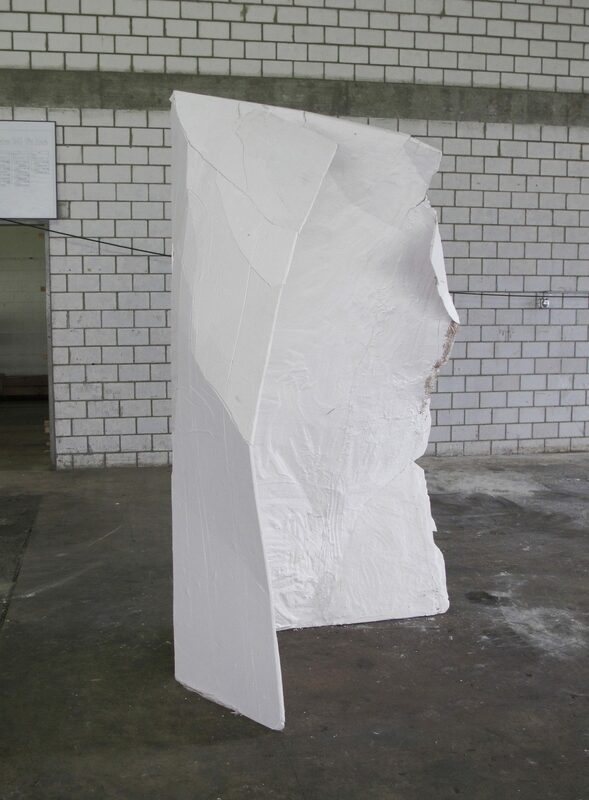 In choosing to title her exhibition at Kunsthaus CentrePasquArt – her first large-scale solo show to date – « Sklupturen », Karin Lehmann draws our attention to the knowingly irregular and often rough-hewn character of her work. 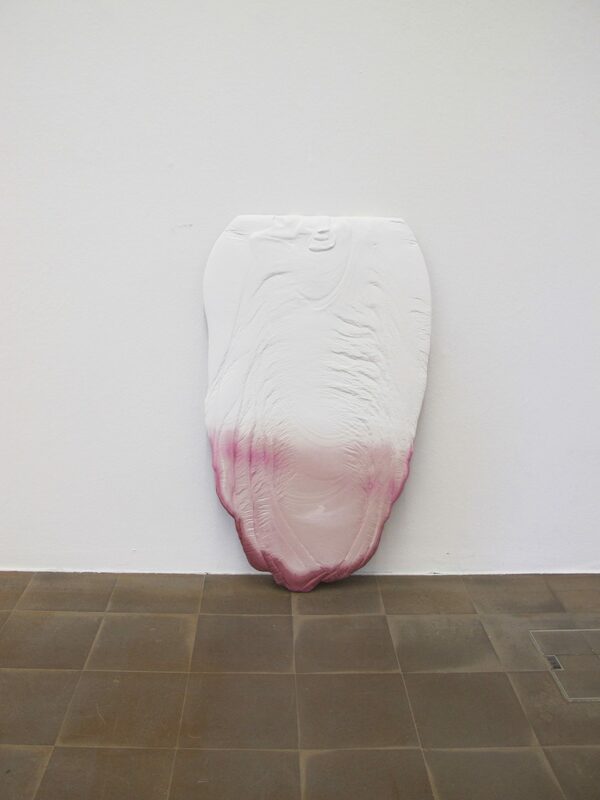 The title chosen by the artist also echoes the tongue-in-cheek dimension to her practice. 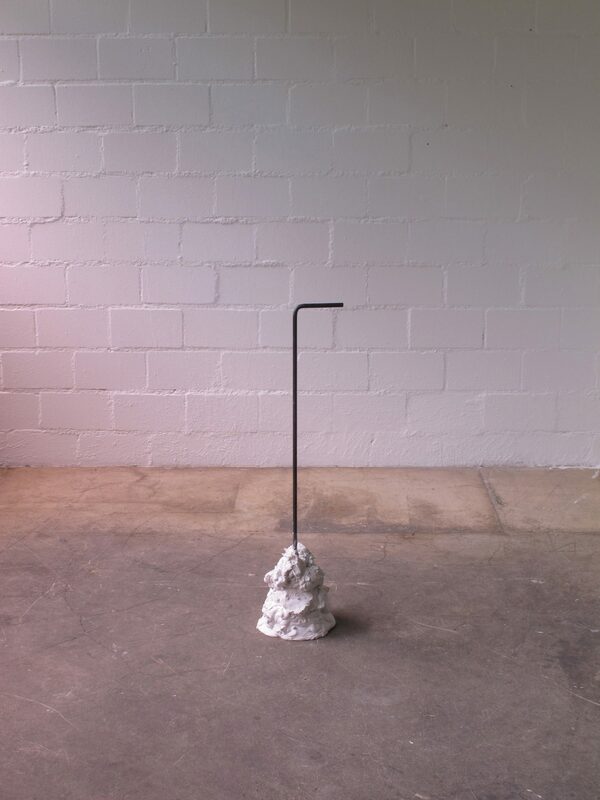 At the entrance to the exhibition an upside-down plaster bucket welcomes visitors by emitting a continuous gurgling. 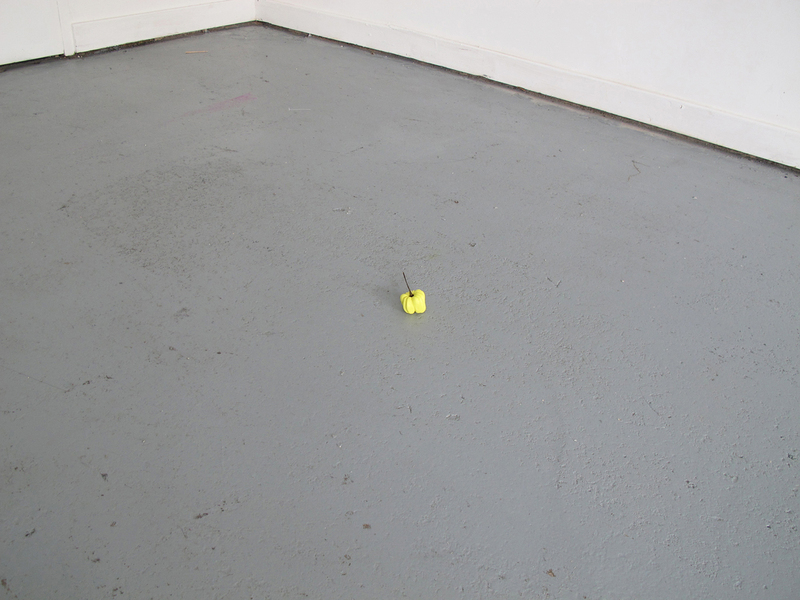 This age-old sound serves as the artist’s metaphor for introducing the exhibition. Her ideas « simmer » for a long time in her head before they can finally be presented in public.